PDFs or Portable Document Format files are steadily gaining popularity among business and home users since format’s debut in 1993. Considering they are lightweight and can be displayed on almost any operating system and browser, PDFs became top choice for electronic document archives. The concept of “paperless office” relies heavily on PDF. Increased productivity and better workflows when dealing with a lot of documents has been made possible by introducing it as a standard. Whether you are making a CV database, scanning invoices, archiving spreadsheets or eBook files, PDFs are the go-to choice. The only drawback of the format is that it’s not editable by default. 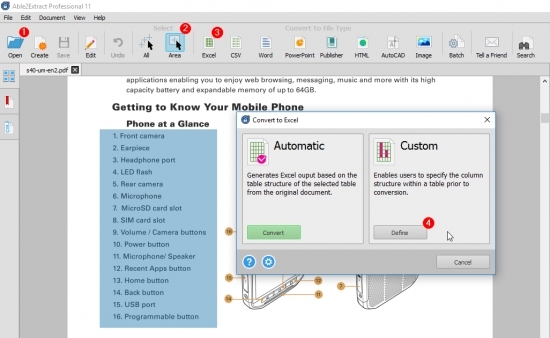 To make changes to PDFs, you need a PDF editor. To help you choose a professional PDF editor, we have decided to review Able2Extract Professional. Contrary to some other, more expensive options, Able2Extract Pro 11 offers a lifetime license for $149.95. You can also use Able2Extract Pro 11 to perform operations like open and view, create, annotate, redact, delete or add pages, password protect PDF, and much more. Able2Extract Pro 11 is a cross-platform solution, designed for Windows, Mac and Linux platforms and it’s compatible with the latest releases of the above mentioned operating systems. Its interface is clean and professional looking. There are no distractions, bright colors or eye candies – exactly what you would expect from an office tool intended to get the job done. I’ll show you how to use this software to boost your productivity and save a lot of time when dealing with PDFs. Let’s start right away! If you have an image PDF you would like to extract data from for easy editing, OCR engine will come in handy. Once the file is open, click Edit menu, hover over OCR Options with the mouse pointer and choose “Perform Image-based Conversion (OCR)”. Then, select what you want to convert: the entire document or just an area and hit Word icon in the toolbar under Convert to File Type section. Finally, choose the location and the name for your new editable .docx file and hit save. 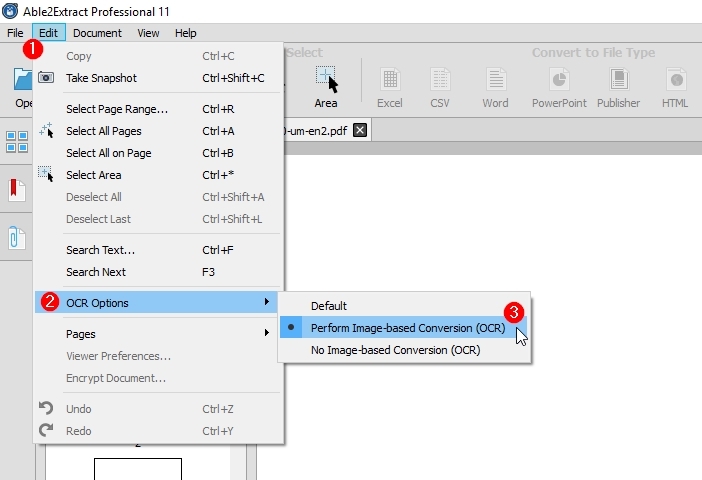 Automatic PDF to Excel conversion is fast and accurate. But PDF tables are not always perfectly formatted. That’s when this advanced PDF to Excel option shows its full potential. Using the side panel on the right side of your screen, you can customize table and row structure as well as header and footer of PDF tables. Below the document you can preview your conversion output. To quickly learn how to use it, check out the interactive PDF to Excel demo. When you open a file in Able2Extract, the default view is Convert mode. 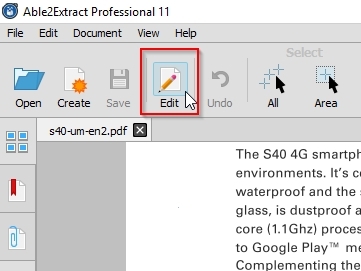 To make changes to PDF documents without converting them, click the Edit icon on the toolbar. On the right you will see edit PDF content and pages panels. You can add text, shapes, and images to your PDF, or edit the text that’s already there. Font type, size, and color are also customizable. Pages panel options will let you merge and split PDF files, move PDF pages, rotate, resize and more. 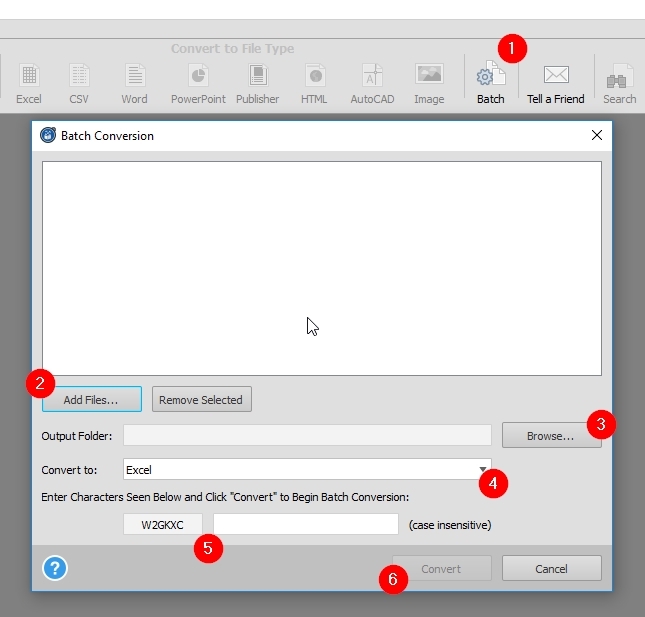 After you launch Able2Extract, click on the Batch icon and Batch Conversion options pop-up window will show. You should then choose which conversion type you would like to perform, output folder for your files and add PDFs to the queue. Last thing to do before starting a batch conversion is to enter a security code which is case sensitive. Click on the Convert button to complete the process. When in need of such a feature, Able2Extract’s powerful Batch conversion will certainly save you hours of work. Able2Extract is a versatile all-in-one solution for dealing with PDF documents. It’s main features are accuracy and quick conversions, but advanced options are what makes it unique and what power users will appreciate the most. If you can relate to the well-known saying: Time is Money – a professional software like this will pay off big time and fast. 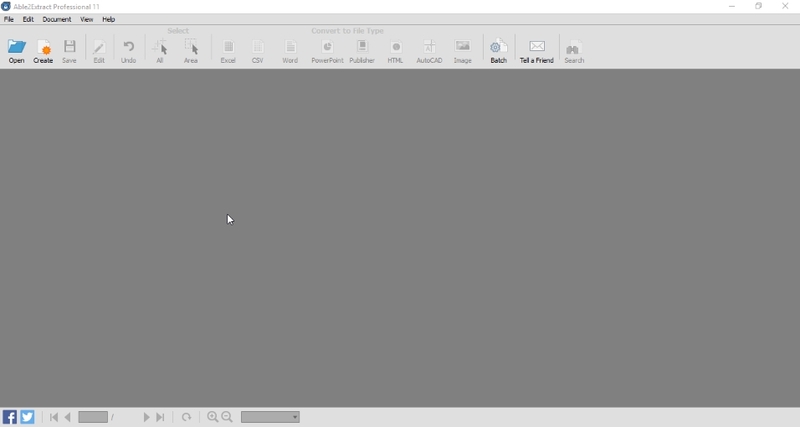 You can give Able2Extract Pro 11 a try for free by downloading it here.